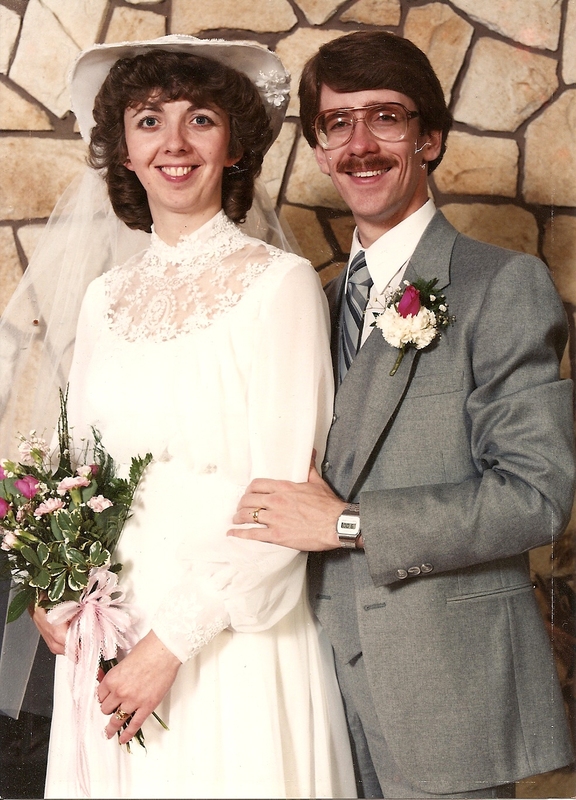 My last article, “Finding a Good Wife”, brings us up to May 11, 1984. One week prior to our wedding day, I was dressed up for different reasons over the weekend. This previous weekend was my graduation from Alberta Bible College with my Bachelor of Religious Education degree. Sadly, my dear grandmother died on that Friday of grad weekend. I was honored to receive the “Outstanding Student of the Year” award at the banquet, but my thoughts were with my grandmother that day. Needless to say, we had quite the busy week. Grad Banquet on Friday, Senior Student’s Service on Saturday, Grad Ceremony on Sunday, funeral for Grandma on Thursday and immediately following that our Rehearsal Party, the Wedding Day on Friday, and then the start of our one-week Honeymoon on Saturday. And needless to say, Jill and I were exhausted even before we started our honeymoon. During our honeymoon, we finally had a chance to talk with each other about our future and what decisions lay ahead. I had just finished four years of Bible College, and I was grateful for the excellent teaching I received there. But one thing I noticed during my time there was that the classes and the practical work at ABC was primarily aimed at training young men for pastoral ministry. It would be at those moments that I knew I would have to seek training elsewhere to fill this gap of knowledge and teaching. What I really needed was to find another school with a good Missiology program. 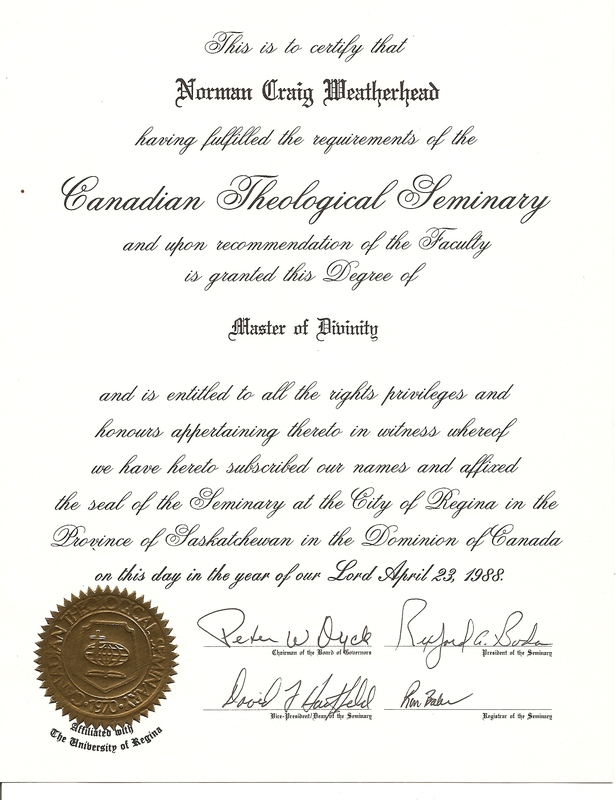 We have never had too many options here in Canada, and so I looked toward the only school in western Canada that had a graduate missions program, Canadian Theological Seminary in Regina, Saskatchewan. Even before I had finished my degree at ABC, I sent in my application to CTS. But for unclear reasons (possibly that ABC was not accredited at that time), I was not accepted into their school. This was quite a challenge for Jill and I to know what to do. But someone suggested that we try to start some graduate work at Regent College in Vancouver. At much as I valued the training available at Regent, what I still wanted was some good teaching on missions theory and practice. So while in Vancouver, I applied again to CTS in Regina, and this time I was accepted, seeing as I had already started a graduate program. So in just seven months, Jill and I had to pack up everything again and move back over the mountains to go live in the flat, bald prairies of Saskatchewan. It did not take very long for me to know that Canadian Theological Seminary was exactly what I was looking for. CTS is part of the Christian & Missionary Alliance denomination, and they have been instrumental in pioneering mission work around the world for over 125 years. Many teachers had done some mission work themselves, and almost every guest speaker who came through the halls were veteran missionaries. The two and a half years that I spent at CTS were some of the best days of my schooling. 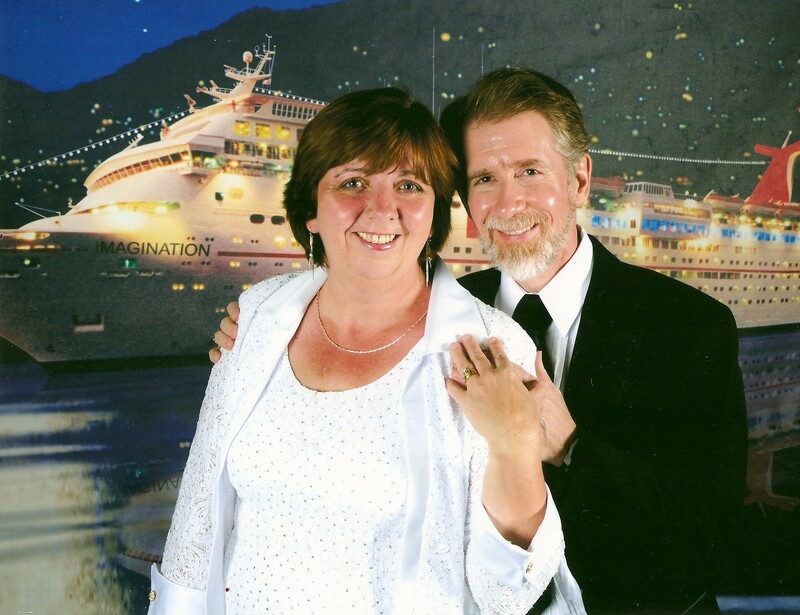 Even though I was not a member of the C & MA denomination, pretty much all of the teachers and students there accepted me and Jill as fellow Christians who also shared the same passion for missionary work for God. It was quite common to catch some of us in the halls or in the lunch room casually talking about plans to go somewhere in the world later that year or the next. In fact, Jill and I were able to go on summer missions twice while I did my three-year Master of Divinity degree. We went with Teen Missions as leaders of a team of teenagers to Dominican Republic in 1985 and to Mexico in 1986. You can read other experiences that I have had with Teen Missions by clicking here and you will see what a great impact TMI has had on my life. Until next story, may God bless you on your journey of learning and living for our Lord. Last weekend was Easter weekend. So instead of our Bible study group meeting on Thursday, some took the opportunity on that Easter Thursday to go to a special service to prepare their hearts and minds to reflect upon the greatest historical events, the death of the man-God Jesus on the cross, and the victorious resurrection of our Lord and Risen Savior, Jesus Christ. Unfortunately I was not able to go. But I still rejoiced in my heart as I individually had my own time of reflection. And so, we did not meet to look into the first chapter of Philippians in greater detail as planned. Which turned out all right from my perspective as I was not totally ready last week to begin. It has taken me quite a while to figure out how to go about doing this group Bible study. And I think I might finally have what I want that will hopefully be helpful to others as I present one way to study Scripture from an inductive and self/group-guided process. A. Text Comparison: the idea here is to take at least two, or up to four, different English Bible versions and read slowly a section (a portion from one section title to the next) to get a grasp of the main ideas of the section, and to see the similarities and the differences between the various translations. 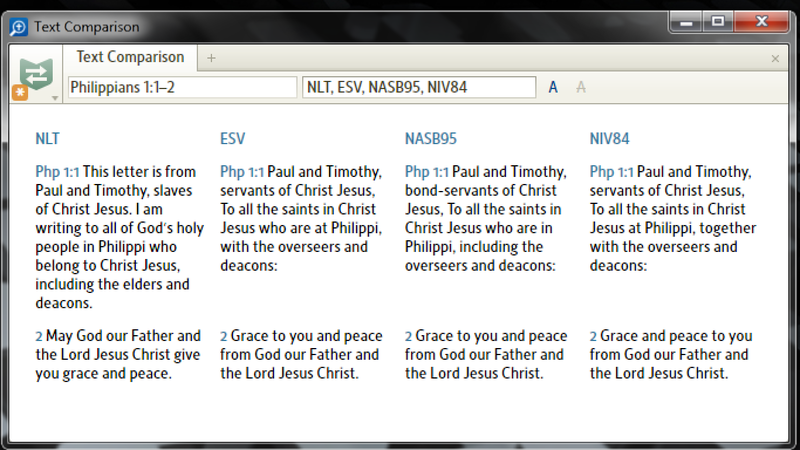 This screen shot is from Logos Bible Software shows four translations of Phil. 1:1-2. B. 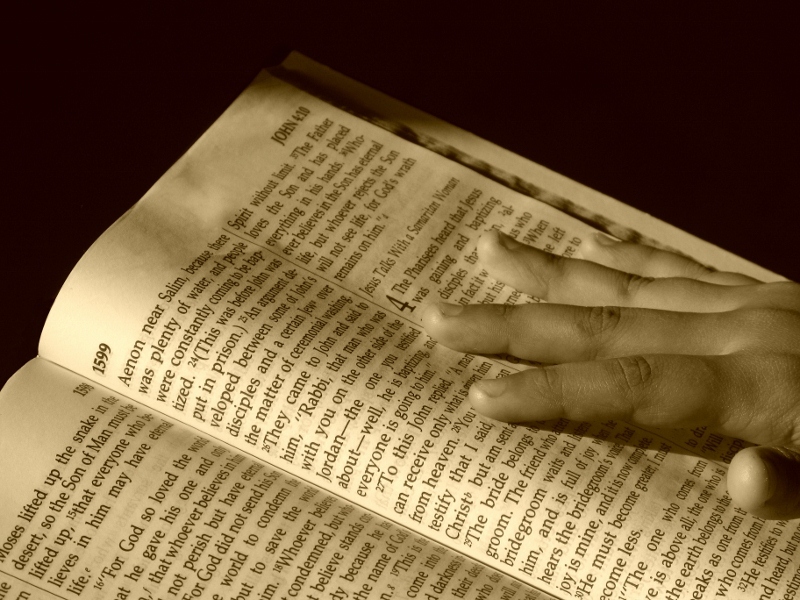 Review the Greek Text: This step may sound too difficult to the average reader of the Bible, but today there are so many ways to assist people, especially in this electronic age. 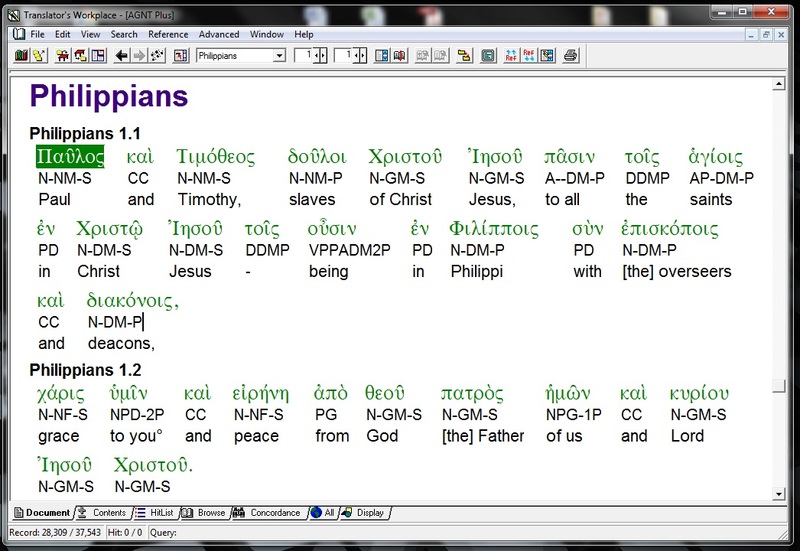 Now a person can find an Interlinear Greek to English Bible in book format, but not only is it easier to navigate in a computer program, but usually the Greek words are linked to English study tools such as we will mention in the next stage. To get an idea of what I am talking about, let me put up another print screen picture. This screen shot is from a linguistic program called Translators Workshop. C. Commentaries and Lexicons: there are so many, many commentaries on the open market, as well as a good number of Lexicons (another word for dictionaries). A good idea would be to talk to a sales person at a Christian book store, or to a pastor, or to a Bible college professor to get suggestions as to what commentaries and lexicons would be best suited for you. And as some of you may have read in my last blog, I now have a way to help readers obtain good books. (Go back and read that article if you would like my help.) These are the tools that can help you get into and understand the meaning behind critical key words and phrases in your studies. D. Concordances: and finally this tool can help you a great deal, especially if you are trying to do a word study in Scripture. A good commentary tells you how many times the word you are studying appears in the Bible, what the references are to each usage of the word, and some even help provide the shades or ranges of meaning of a word, based on biblical context. Paul and Timothy greet the church at Philippi and extend blessings from God the Father and the Lord Jesus Christ. Doing this process of reading a section (now most sections are much longer than this two verse opening section we see here in chapter one), we will generally get a good sense as to what the whole section or main idea is all about. After all, the people who have introduced the section divisions must have felt there was a good reason as to where they made the divisions. But just thinking about what the passage/section is about is not really good enough if we are on a quest for knowledge and understanding of what God’s word says and means. No, I believe that it is when we try to write out a summary sentence, and to write out a new Section Title, that we have to wrestle with the text until we “get it”. Then while the moment of clarity of understanding arrives, that is when we need to write our thoughts down. This reinforces what we just discovered, and it leaves a permanent record of what we have learned to which we can turn to later. Okay, well, we did not get very far into the book of Philippians, but that is okay. 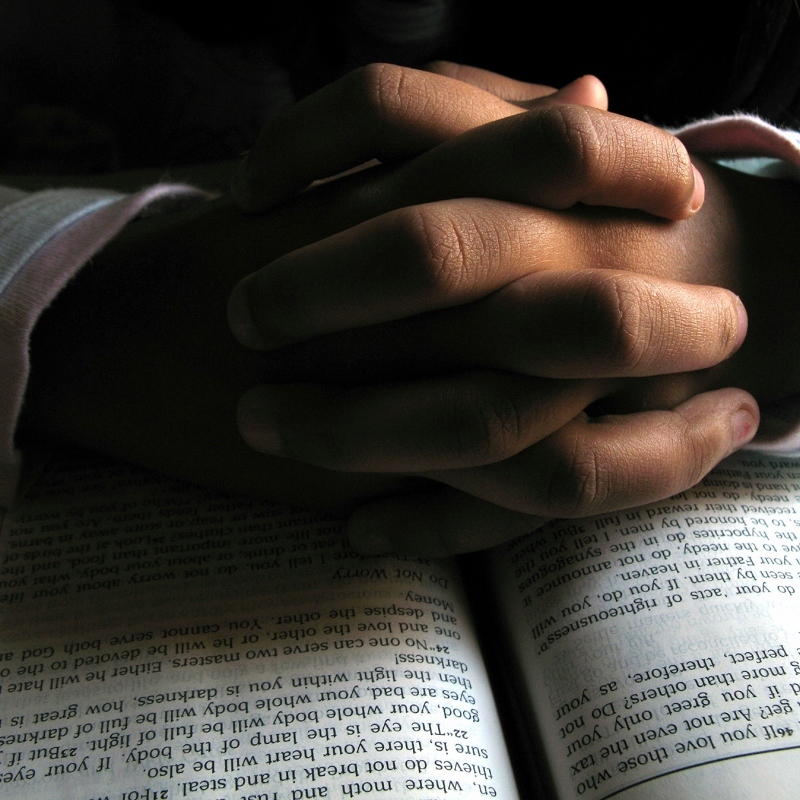 We are setting down good principles by which we can study and learn from God’s Word. Next week (Thursday) I will continue with what insights and thoughts I have gained after studying chapter one of Philippians. I pray you will join me then. And until then, may God bless you and keep you safe from all harm. In the past few months, people have asked me about the book that I am doing regular articles on, “Walking With God on the Road You Never Wanted To Travel“. They want to know where they can get a copy. This simple request has led me to find a way to help people who are wanting to buy this book, as well as many other good Christian Resources. Until recently, I did not know that I could offer the service of a little online store (through Amazon) where people could purchase items they wanted at regular and discounted prices. If people wanted to purchase something, say like a new Bible, or a Used Christian novel, or a Worship CD, etc, and they did so through a link I can provide, then not only would the customer get what they want at a good price, but a small referral bonus would go to me. For my Canadian Friends: to buy Christian products (books, Bibles, CDs, etc), you would click on this link http://astore.amazon.ca/thelispos0f-20 and it would take you to the Amazon.ca portal of my little online store. For my American Friends: to buy Christian products (books, Bibles, CDs, etc), you would click on this link http://astore.amazon.com/thelispos-20 and it would take you to the Amazon.com portal of my little online store. God has blessed me in so many ways, I stand back in awe and I give Him praise. The last article spoke about the exciting ministry of Bible translation I have been involved in for many years and how new opportunities are opening up. And then during these past months, God has allowed me the privilege to share my passion about the ministry and my faith in the Lord through blog writing. But often I have been asked the question of whether I get paid to do these various ministries. The answer is yes and no. I have always lived on the basis of faith-support ministry in my mission work. Individuals and churches who believe in what I do will support the work financially, and after ministry expenses are covered, if there is money remaining, then I receive a salary. It is an act of faith that God will supply what we need to both live and minister for Him. I love what God has called me to do, and I try not to worry about whether there are enough donations each month. I leave that in God’s hands. I want to serve God and minister to people simply because it is a joy for me to do that. At the same time, I do need to be honest, that raising funds is important so that we can be able to do all the various aspects of ministry we are involved in. My simple request to you who are reading this then, is to consider going through one of the links I have posted above whenever you choose to purchase something from Amazon. This really is meant to be a service to you, but it can also be a means by which some funds can be generated to help us carry out our ministry of Bible translation. I have tried to list some of the best categories I could think of that would be helpful resources to people. But I do know there will be times that you are looking for a specific item, and you will not find it right away on my site. Don’t panic, I can still get it put into my site for you to buy. What you would need to do is to send me information about what you want on a Comment Reply to this article and I will find the item and add it to my little store. In closing, I really do not want people to think I am “going into business” to make money. I don’t think that very much money will actually be generated (unless the Lord blesses this). But again, I want to use this as a service to you, and hopefully I gain a little which I would put into the Bible translation ministry. Bookmark this article or save the links in a handy place so you will be able to partner with me and our ministry through your Amazon purchases. If you have trouble at any point in making a purchase work in this manner, please do not hesitate to write to me in the big white “Leave a Reply” box on the bottom of any article and I will get it immediately into my email Inbox. But I will not make public the questions or concerns written to me. They are completely private. If you are looking for a specific book, CD, textbook, etc and did not find it on your “Search” in the site, then you too, please give me the details in a “Leave a Reply” box. If you would be so kind, please pass on this article or just the main part of the Amazon links to your family and friends, so that more people might be able to help support our ministry work simply by putting in an Amazon order through my Amazon links. Thank you all, and God bless! 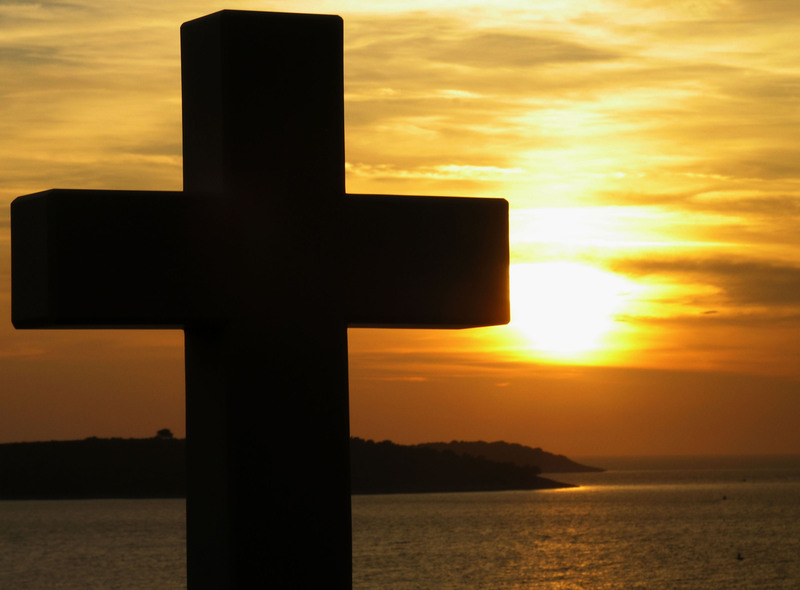 This article will conclude chapter four of Mark Atteberry’s book “Walking With God on the Road You Never Wanted to Travel“. And the theme of that chapter is “Stay Positive”. It was last December that I read this book and immediately I knew that there were some powerful messages in this book that I needed to hear, for I had been on a hard road journey for quite some time. As you may know, it was November that I started this blog writing, partly to reflect on life, partly as a therapeutic activity for myself, and soon after I started, it became a means to reach out and try to minister to others. I wonder about the people who read these articles if some or many may also be walking on a hard road journey. So this article marks the end of four months of looking into this book. Are you walking a difficult road right now? Has life gotten any better or easier to bear in these four months? Have things gotten worse? (I sure hope not, but I do realize that is quite possible.) If you have been going through a difficult time for these four months, or longer, you may well be asking, “How can I ever stay positive in these circumstances?” Let me summarize three main points that Atteberry offers to us all. Actually, we tried that one time with one of our sons when we lived in our remote village in Papua New Guinea and the boys were elementary school age. Jill had worked hard getting supper ready, but our one son didn’t want to eat it. So Jill used that famous line, except she said, “Think of the children starving in this village.” So our son got the bright idea of getting up, going out the door, putting his plate of food on the landing, and came back inside. A few minutes later, as we watched with open mouths, he went and got his plate and indeed, it was empty. There were starving children outside. No, what I’m thinking of is when life seems to crash in upon us and we think we’ve hit the bottom, what do we do? In the two years of mid ’87 through mid ’89, we thought things were bad, and they just kept getting worse. I mentioned a few in the last article: losing a child, packing and moving multiple times with Jill’s next pregnancy, my critical illness, feeling almost bankrupt, and another illness that kept me in bed for a 6 month period. We had every reason to think negatively, and to think to ourselves, “Will we ever reach the bottom of these disasters and crises?” But it is exactly at this point that we needed to look at what we had, and not at what we had lost to keep us sane. We had each other, we were blessed with our first-born son, we had my parents take us in a few times into their home, we did find employment and some other income. And we had God with us and many caring Christian friends and church people to love us. By many standards, we were very blessed to have all that we did have. The second helpful advice is the inverse to the first, namely that things actually might be better than they seem. With the mission work that Jill and I have done over the years, we often found things to be tight financially. During our first long-term over in PNG (1997-99), we always had enough to buy the essentials for living, but we could not save any extra and prepare for our upcoming furlough year back home. Well, wouldn’t you know it. There were some logistical issues in those days that made transferring funds from Canada to PNG difficult, and some monies began to accumulate for us back home. Unfortunately we never knew this at the time, so maybe we might have worried a bit less back then. But when we did get back to Canada, there was enough of a reserve fund that we were able to live okay during our 10 month period of visiting all our supporting churches. And so my dear friends, while I hurt for those who are hurting, let us not give up hope. Let us look up to God, not down at the trials that we think will crush us. 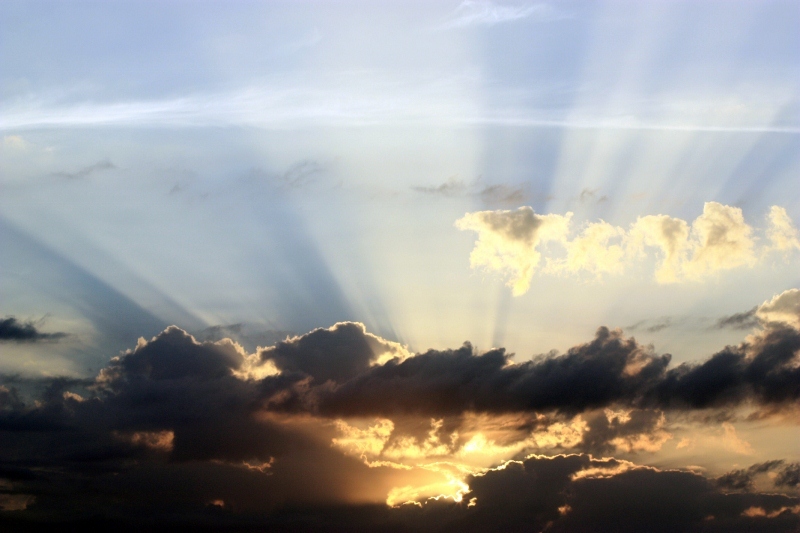 A brighter day will be easier to find if we can keep our spirits up and remain living life with a positive attitude. And another Day will come when all sorrow and suffering, all disease and death will be gone and all tears wiped away. Remember, God is the King, and we are His children. He will rescue us in this life, and in the next. This past trip to Papua New Guinea (Jan. 27 – March 28) was a big leap of faith on our part. The question on everyone’s mind was how I would manage on such a long trip overseas. The good news is that I can honestly say this has been my most successful trip in the past three years. My assignment was to do the consultant checking of translated Scripture books for three language projects: finish checking the book of Matthew in the W. language, check three Pauline epistles in the T. language, and check the book of Hebrews in the A. language. I was able to complete all three language projects, each ahead of schedule, so that five more books of Scripture are now ready for publication. I am thankful to God for my role in being able to see this made possible. Along with completing the assignment given to me, I attained the status of being a Full Translation Consultant. From a health perspective, I was able to live and function better than I have done on any other trip. Jill was a great help to me in many ways, and so were many of the Branch members over there. Not only have I learned to pace myself and my body better, but the new pain medicine has helped to reduce the level of daily pain to a moderate more tolerable level and has reduced the number of bad spike days of pain. When we all saw how well this trip went, we went ahead and had a meeting with all the Directors of the PNG Branch, as well as with the Regional Area Director for Pioneer Bible Translators who happened to be in PNG at the time. In the meeting, we discussed various ways I could serve the ministry of Bible translation, and the timing and length of our next visit to PNG. We are looking at going back early in 2012 for 2-3 months to do more consultant checking work. In addition to this, I was asked to consider being involved in a new program with a language project in Southeast Asia. This project will be a new approach for PBT, but has tremendous potential. The missionary who oversees the project lives about half the year in the States and then spends the other half of the year in Southeast Asia. The national translators are located in a city that has a stable internet connection and stay in touch with the missionary through email attachments, language program file sharing and through Skype calls. The idea that was presented to me is that I would become one of the primary translation consultants, and do all my work with the missionary and the team through long-distance internet connection. In other words, I could work all year-long and live in any location globally to help do the consultant checking of this project. This opportunity is very exciting, and I have agreed to become attached as a remote location translation consultant with respect to the Southeast Asia team. Looking back, it wasn’t that long ago that I thought I would not be able to continue such an active international involvement in mission work. Looking ahead, it sure seems to us that the Lord is opening many doors for me to serve Him. There are a lot of details to still be taken care of, but we are going forward with confidence that this is the direction the Lord is leading. William Carey is one of my “heroes of the faith” and through his missionary and Bible translation efforts, much of India and surrounding countries were impacted by the Gospel. Of course I am no William Carey, but I do hope to emulate his motto. I put my trust in God that what we do for Him, checking Scripture translations one verse at a time, will have a long-lasting impact on the people of PNG, or wherever we may serve. And before I sign off on this article, let me say how grateful I am to all of you who read these blog stories. Jill and I know that we do not go on our own into the mission field abroad. We are part of a team, part of the greater body of Christ. We go as your representatives, and you all come along with us in spirit to attempt to do these great things for God. My prayer is that each of us would hear God’s voice and follow His leading to serve Him where we live, or wherever He may lead us. We know that the victory is won in Jesus Christ. But we also know that there is much to be done in bringing the Kingdom of Heaven to the people groups of the earth. Let us all by faith serve our God well until He calls us Home, or until the day that Jesus will return. Two weeks ago, our church small group was meeting and we were trying to decide what we wanted to study during the next five weeks. After that, it would be Spring (hopefully) and people would be starting to travel more and enjoy the good weather. At least that is the plan…good weather…travel…enjoy. But in Canada, and especially Calgary, being next to the Rocky Mountains, you never know what to expect. But back to our Bible study group. Most of us wanted to take a look at a book of Scripture, but how much can you do in just 5 weeks. So the suggestion was to look at a small book like Paul’s letter to the Colossians or to the Philippians. We went with the second suggestion. And I mentioned to the group that I had just done a consultant checking session on Philippians for a PNG language group in February. As we talked about it, I made the offer to help provide some guidance into looking deeper into the book. I wanted them to know that I do not consider myself in any way an expert in the Greek language, but I do know how to use these wonderful computer tools which can help explain the meaning of the original Greek text. And so I was nominated to help lead a five-week study on Philippians. And that was fine. But then I started thinking, how exactly should we start into our study of Philippians. It’s been a long time since I have actually been the leader of a Bible study group. I was comfortable with the idea of helping out, but I needed to come up with an approach that would be helpful and meaningful to everyone. And then a thought came to me. Why not try to approach the book in a way that is similar to the way I approach getting prepared for doing my consultant checking, and also how we actually conduct our checking sessions. Now of course, we are not attempting to translate the book of Philippians, but we can still ask some of the same questions that we do in translation sessions. So let me now explain how we got started on Philippians this past Thursday and how I think it might go over the next month. We had a good turnout on Thursday with almost everyone able to come. Just one couple was sick with a cold. We all enjoyed the usual chitchat of friends catching up on the latest happening, and getting our cup of tea and a snack. And then we settled down for the evening study. After introducing myself again and what we were going to do in general for the next month, I asked everyone to tell me what English version/translation of the Bible they had brought. And it was interesting to see the variety of versions that were represented among the eight of us. We had the following: 4 New International Versions, 1 New Living Translation, 1 Jerusalem Bible, 1 Message Bible, and 1 New King James Version. And it was at this point that I brought out an interesting principle of doing good Bible study (or doing good Bible translation). If we will take the time to read a passage of Scripture from 2 or more translations at the same time, it isn’t long before we see some differences in how parts of verses are translated. Does that mean that one or both of them are wrong? Not at all. There are two important factors in play going on at the same time. First of all, every human language is so rich, that when you try to express something in that language, there are almost always two or more ways to express the same truth. So having different English translations at hand can give us a fuller and richer understanding of the original Greek, simply because there is more than one way to express it. But more importantly, when it comes to doing translation from one language to another language, there is never a complete one-to-one correspondence between the words in one language and the words in another language. And so we do not do a word-by-word translation, but rather a concept-by concept translation, trying to capture the essence of the meaning of the original text into equivalent terms in the target language. So how did this help our Bible study group. What I finally decided might be a good idea, was to do what I call a “slow-reading” of Scripture. We read the entire book of Philippians (in about 25 minutes), at a nice moderate pace. And as it was read, we were to write down words, or phrases, that stuck out to us as important or repeated key themes and ideas in the book. And it was wonderful. We had words like: courage, servant, unity, humility, sacrifice, prayer, partnership, joy, grace, wisdom, and many more. And even just by doing this one exercise we were able to see that the book of Philippians is going to be a rich study. Especially as we recall that Paul wrote this book while he was a prisoner in chains. That makes some of these key words stand out even more. So I think we have started out pretty well. We will now slow down to look more intently at one chapter per week. And as we surface the key words and phrases of each chapter, we should find we will have lots to discuss, and lots of ways that we will be able to apply the truths of Scripture to our lives. I’m excited. And I think the group is too. Everything else in my life up to this moment was a period of learning and growing and getting ready for this major life-changing decision. Sort of like Paul says in 1 Corinthians chapter 13, I was going to change from being a child to becoming a man. For a very long time, it was clear to me and to others that I would be wanting to find the right woman who would marry me. I regret that I have had to pull your son out of school today and have sent him home with this letter. I would like it very much if you could sit down with your son and talk to him about his behavior while at school. Please tell your son that it is not appropriate for him to run after girls during recess, to tackle them down and try to kiss them. Your help in this matter would be most appreciated. Now thinking back to that moment in Grade Two, I remember going home with the note. But I don’t remember if I got scolded and disciplined by my parents or not. Gee, maybe my Dad even congratulated me for taking the initiative in developing male/female relationships. (LOL) Just kidding. All I can say is that I took a healthy interest in girls at a very young age. Actually, when Grandma said this, neither of us thought about being too serious at that time. But God seemed to smile on our relationship and a short dating period (50 days) led to a short engagement period (5 months), and on May 11, 1984, we pledged our love to each other. And as you can see from the picture below, we were on top of the world that day. Now let me back up just a bit to give our story a little more context. Even though our dating period was short, as I mentioned, we had in fact known each other for more than three years. Jill had been a room-and-board person at my parents house for parts of 1979 – 1983. She had become part of our family long before she married into our family. So were we friends forever who finally got married? Actually, no. After I got home from my year serving with Teen Missions (read about that year here), I found that “some strange woman” had taken over my bedroom and I was relegated to the dusty basement room. 😦 Needless to say, I was not too impressed, nor happy about the arrangement. And so I first got to know Jill as a rival in the family, someone to compete against, not someone to want to date or even marry. But again, God did some interesting heart adjustments for both of us. I thought I knew what I was looking for in a wife, but now that I look back, I know that I was being influenced by my culture. It really is difficult these days not to be influenced by the bombardment we get through the media, modern advertising and such dominant cultural centers such as Hollywood. But thankfully, Jill stepped in twice to give me a subtle suggestion that the girl I thought I was interested in was really not a good match for me. But being a guy, of course I missed the subtle cues. (There are lots more to the stories, and I’m sure you’d love to hear them one day.) But then Jill asked me one day if maybe there might ever be a chance that the two of us might want to date. Well, then it really hit me. Even though Jill and I had lived in my parent’s house together and squabbled like a brother and sister might at times, there was a common bond that kept us interested in each other. Both of us had wanted to serve the Lord on the mission field one day. And so we talked the same language: missions and missionary lives. So finally, after 3 1/2 years of missed opportunities, Jill and I saw that in fact we would be a good match together. And so I was able to realize what the writer had to say in Proverbs 18:22, “He who finds a wife finds what is good and receives favor from the Lord.” And guess what? I can still say after 27 years, that it was the right decision.